This past Saturday, approximately 2,000 visitors joined in a celebration of marine science at Hatfield Marine Science Center. 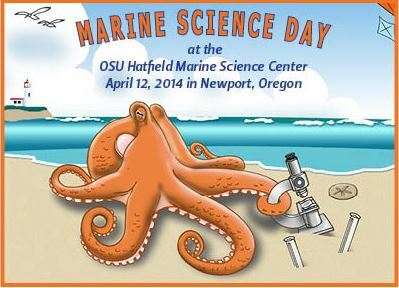 There were opportunities to get behind-the-scenes tours, participate in activities in the wet labs, and interact with scientists, staff, and students from the OSU campus of Corvallis, HMSC Campus, Oregon Sea Grant, and Oregon Coast Aquarium. Some of the state and federal agencies in attendance were National Oceanic and Atmospheric Administration Fisheries Research, NOAA Marine Operations, United States Fish and Wildlife, the Environmental Protection Agency, and Oregon Department of Fish and Wildlife. These groups shared their research and the tools they use to collect data. It was a great opportunity for the public to hear and see some of work that takes place in the lab and along the coast. I made a point of observing the facilitators/researchers and listening for their personal methods of communicating science. For those presenting their work, they had to rapidly tailor their message to a diverse audience. Interacting with young children, their parents, and grandparents, how did they capture the interest of this multi-generational group? As each person brings with them a range of science knowledge, vocabulary, and attitudes towards science, how did the dialogue evolve between learner and facilitator? I also watched the dynamics between group members as they stopped at stations. If adults were with their children, what was the adult doing while the child interacted with the facilitator (whether it was a scientist, student researcher, etc.)? Did they get impatient if their child did not answer a question right away? Did they try to coax an answer out of them? Did the adults get so enthusiastic they dominated the interaction? Several questions came out of watching family groups make their way through the activities. One station that was memorable for me was a simulation of a watershed and impacts to water quality. Staff members from the Environmental Protection Agency of Newport used a model using several familiar items. Two cake pans with sand were placed side-by-side. The sand was built up to represent a shoreline and small plants were placed in the thickest section of sand. The difference between the two was the presence of a wetland, indicated by pieces of sponge, near the shoreline. Using food coloring, pollution was added to the model, followed by a “rainstorm”, or a spray bottle filled with water. As the pollution moved over the surface, you could see where the wetland “sponge” soaked up the polluted water and prevented it from entering the water along shore. The staff showed how this was similar to surface runoff and the challenges of pollutants entering waters along the Oregon Coast. The facilitators summarized this simulation with an explanation of why wetlands are important and connected it to the simulation the visitors just witnessed. As I moved on to other exhibits, I wondered if the concept of a wetland and its purpose had changed for these particular individuals. Having this many visitors on site on one day, I took some time to watch behavior around the touchtable. I looked for patterns to help refine my research questions of how people use an interactive tabletop in an informal science setting. This setup is different from “informational kiosks” used in many museums, having a size and orientation similar to a desktop computer screen. As the touchtable is a flat computer, the table setup itself may be attractive or inviting. I watched as a group of five people leaned in and had at least five hands on the table simultaneously. There were instances of users reading text out loud to others and modeling behavior of how to do a particular task on the screen. I also noticed whether users would put one hand or two on the table and if they started with one finger or more, and did this vary by age? 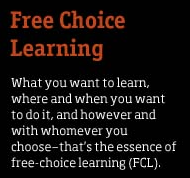 I watched to see how soon someone was able to figure out what the point or goal of the software was and whether they refer to the instructions. A few users took some time to speak about their experience using the table. It was a helpful exercise and a reminder that there is still quite a bit to do before the summer season begins. 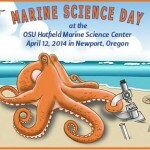 Marine Science Day was a great event due to the incredible work by many staff and volunteers that are connected to the HMSC community. Looking forward to next year! Posted in Environmental Education, Outreach, Science Communication, scientists.